Started from Windows Server 2012 / Windows 8 or later, there is a new msc, Certlm.msc, were added to the Windows. 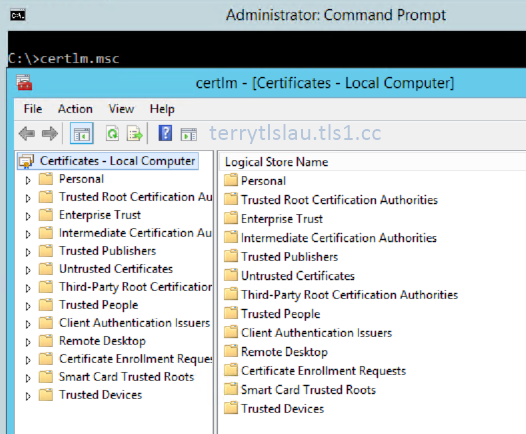 Certlm.msc can directly open a computer certificate store. 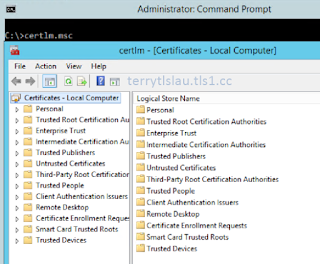 As previous, we needed to use Microsoft Management Console to add the computer certificate store to the console. So, It's easy for administrator to check the computer certificate via GUI.